Welcome to Home Fellowship Church! We are in the process of developing this website and are really excited! 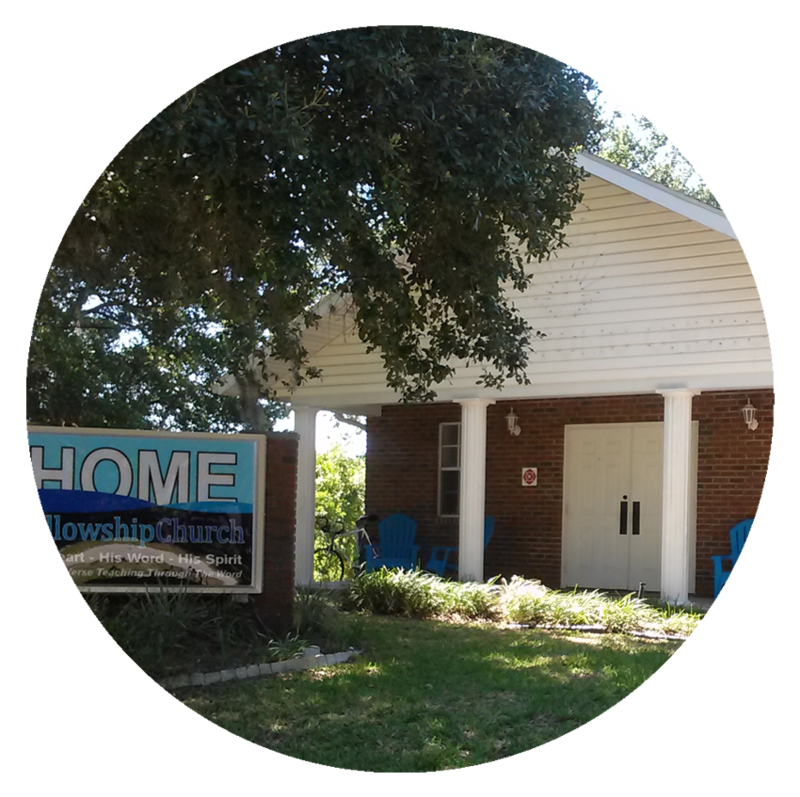 Home Fellowship Church is a small church, located on the east side of Bradenton, Florida. Our name has significance in that we have based our church on the way they taught in the days of Christ -- in the believers' homes. We have cast off the traditional church atmosphere and have returned to the ways of old. Our premise is to praise and honor our Lord and Saviour, Jesus Christ, and teach His Word the way He taught -- not with fancy clothes and dressings, but simply. He went into the homes of the rich and poor alike, teaching us the Good Word, sitting in a chair, or on a cushion on the floor, close to those He charished - us - not to impress those around Him, but to honor His Father and to teach us how to honor Him. Our pastor, Darin Shedelbower, teaches us scripture verse-by-verse. He is a dynamic teacher, with a dynamic message. We hope that you will come and join us as we celebrate the wonders of God's Word. We meet every Sunday at Home Fellowship Church. Services start at 10:30. We're easy to find. Simply click on the Contact Us button on the top menu for maps and directions. We hope to see you there! God bless you in Jesus' Name.